If you want to buy a home, you better be ready to put money down as an earnest money deposit. This is not your down payment. It’s money that the seller can claim should you back out of the home purchase outside of the stipulations provided in the contract. When you buy a home, you sign a purchase contract. In that contract, the seller will require a specific amount of earnest money. 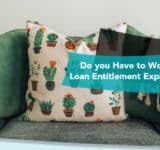 There isn’t a set amount you need to put down for any loan types. Typically, sellers want a good faith or earnest money deposit equal to 1% to 3% of the purchase price of the home. On a $200,000 home, this means between $2,000 and $6,000. You are free to negotiate all terms of the contract including the amount of the earnest money deposit. 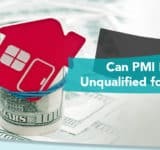 It’s unlikely that any seller will eliminate the earnest money deposit requirement fully, though, as it is the only way they can protect themselves. When you put your deposit down after signing the contract, the seller doesn’t take the money. Instead, it sits in a neutral escrow account. No one touches the money until the settlement date or when/if you back out of the contract. Sale of home – This gives you time to sell your current home. If you don’t, you can back out of the contract without losing your home. Inspection – This gives you time to get an inspection completed on the home. If you don’t like the results, you can back out of the contract without penalty. Appraisal – This gives you time to get an appraisal and determine that the home is worth at least as much as your bid. If it’s worth less, you can either negotiate the price again or back out of the sale. Financing – This gives you a specific period of time to get your financing in order. If you can’t get a solid approval before that date, you can back out of the contract without losing your money. 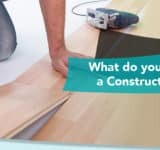 If you don’t have these contingencies or you back out of the contract for a reason not in the contract, the seller has the right to keep your earnest money. This compensates the seller for the time and money he may have lost keeping the home off the market while you worked out the details of the sale. 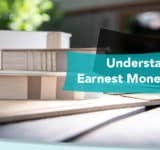 The earnest money deposit serves as a way to let the seller know that you are serious about buying the home. If you are willing to put your own money at risk, the seller has to believe that you want to buy the home. If you do follow through with the sale, the earnest money deposit gets deducted from your total amount use at the closing. 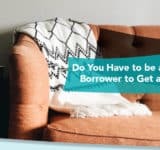 Whether you are making a down payment or you owe closing costs, you’ll need less after the lender uses your earnest money.